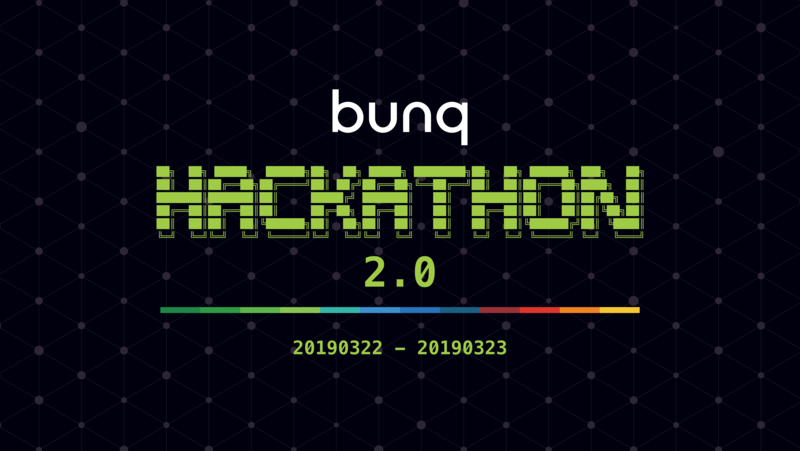 We’re excited to announce the bunq Hackathon 2.0: Code to create 👨‍💻🌈. Let go of boundaries, push the limits and make the future of banking happen. Create the money experience that gives people the freedom to do whatever they want, whenever they want, with whomever they want. Think big, dream bigger...then code, code, code! Join us at bunq HQ on Friday 22 March, 2019 and use your coding superpowers, creativity and the bunq API to build an app that will blow us away. You can even win €2500 🏆. To sign up for the event or to find out more information, check out the Hackathon page and FAQ here or shoot an email to bunq.com">bunqhackathon@bunq.com. We can’t wait to see what you can create!